This is another program that was enjoyed by all with lots of possibilities. 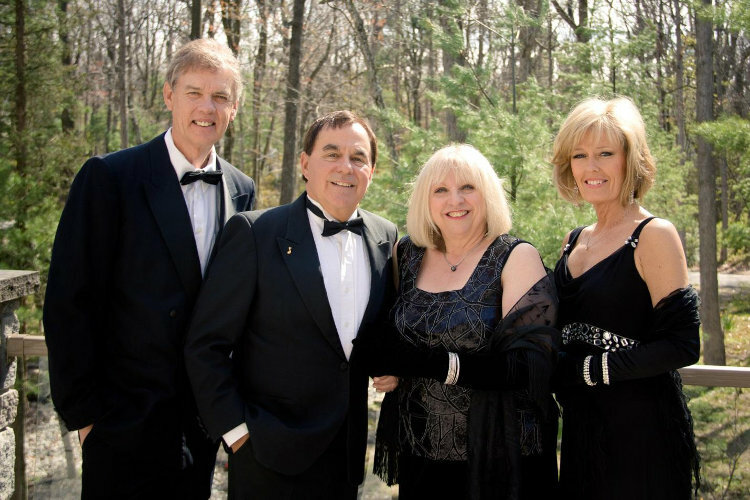 AFTER FOUR adds their own modern touch to favourites from the popular music jazz greats from George & Ira Gershwin and Irving Berlin to Dianna Krall and Michael Buble. The development of this program could lead to another entire package along the same format as the Jeans ‘n Classics style of concert. Four singers… Three-piece rhythm section (piano, bass, drums), with solo instrument (sax)… Extra: Orchestra members – in part or full. Because all of these programs can be developed, and because AFTER FOUR is pursuing collaborations with orchestras for the love of the musical experience, we want to help provide orchestras with a program that can work for them. Program development and orchestral arrangements has been discussed in collaboration with Jeff Christmas, who would also be available as conductor if this might be desirable for any orchestra under certain circumstances. For this discussion no fees have been attached as, under the circumstances of the orchestra players, we would want to be flexible.